1979. Inequalities - Theory of Majorization and Its Applications. Vol. 143, Issue. , p. 521. 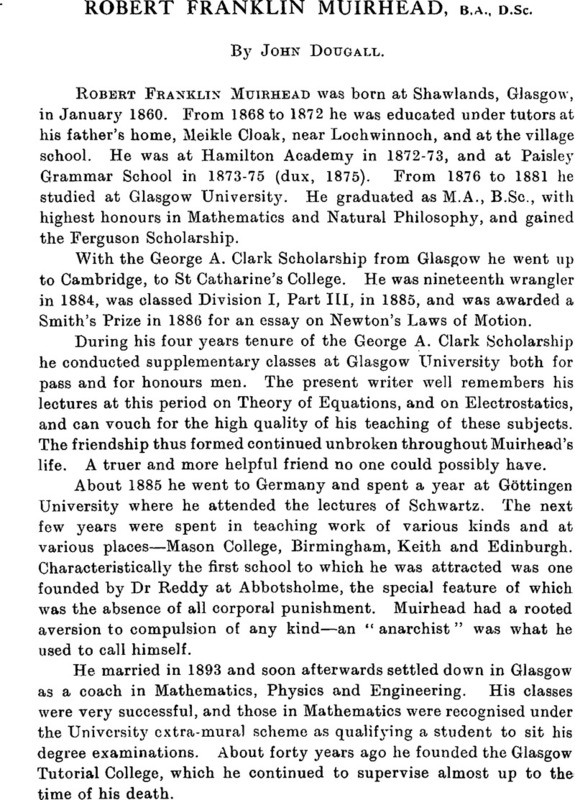 Robert Franklin Muirhead, B.A., D.Sc.